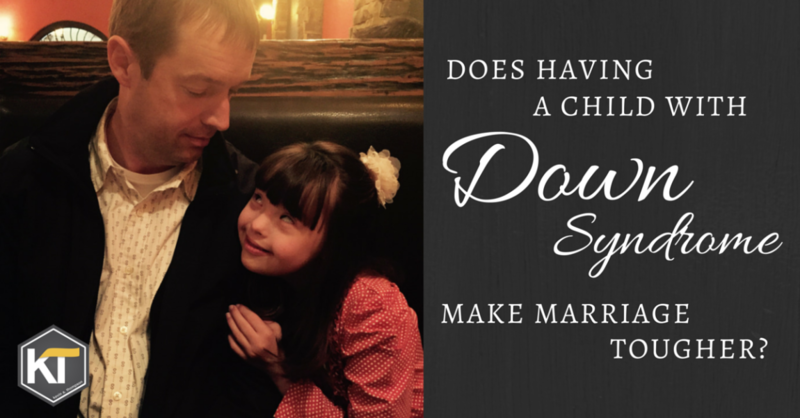 Does Having a Child With Down Syndrome Make Marriage Tougher? The question was posed to me near the conclusion of a marriage retreat. For the first time in my life, I was standing before a room full of parents who have a child with Down Syndrome. Coming from a small city, there are only two or three cases of Down Syndrome per year. As those children grow, they rarely go to the same school and our paths rarely intersect with other parents who have children with DS. It’s not a politically correct answer. Many prefer that parents live in denial of their child’s diagnosis. They believe that admitting the negative aspects of the condition denies the positive attributes of the child and diminishes their worth. In their opinion, to show any sadness is a failure on the part of parents. That is the opinion of some, but they are wrong. Marriage is more difficult for a parent whose child has special needs because that parent is experiencing an added grief in life. They are grieving their child’s diagnosis and many of the things that come with it. Their grief is not a failure of parenting. It is not injurious to the child. It does not demean the child or make them a second-class citizen. All the reasons for the grief are as varied as all the conditions which cause a child to be considered as having a special need. What I might grieve having a child with Ds could be completely different than what a parent grieves having a child with CP or ALS. Yet it is grief nonetheless. Grief always has the potential of negatively influencing one’s life, especially marriage. If a couple is not aware of their grieving, they can wrongly attribute their feelings of sadness, weariness, anger, and confusion to a fault with their spouse rather than as byproduct of their grief. This is a common pattern in marriages with or without a child with special needs. One of the first goals in working with couples struggling in marriage is to get them to put their problems in context. To see a problem (or problems) as something existing outside each individual is a key step toward healing. A couple needs to fight with one another against the problem rather fighting against one another. Unless a couple understands the process of grief, they are far more likely to see the other spouse as the problem. 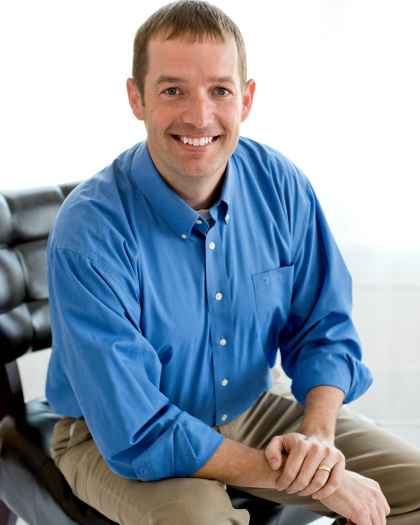 Sadly, this truth reveals the danger of denying the presence of grief in a marriage. While a parent of a child with special needs might feel as though they are honoring their child by pretending as though there is no sorrow in a diagnosis, they are actually doing their child a disservice because they are putting their marriage at risk. Unrecognized grief is always a threat to marriage. However, having a child with special needs can be a tremendous benefit for marriage. If a couple uses the unique circumstance which a diagnosis brings, it can help form a deeper partnership, open channels of communication, and develop a bond in shared joy and grief. If a couple works on their marriage for the sake of one another and their child, a marriage can actually be stronger because of the special needs and not in spite of it. Many of the couples I know who parent a child with special needs have tremendous relationships, and they would credit much of that relationship to the challenges they faced in the early years after the birth of a child. When times were tough, they turned toward one another rather than away from each other. They learned what each other needed and did their best to provide it. They developed skills, sometimes out of sheer necessity, which can be translated to every aspect of their relationship. I often define the roles of a spouse as that of friend, partner, and lover. If a couple learns from their experience of having a child with special needs, the roles of partner and friend can be deeply developed. As they work together in order to care for the child, they can learn to depend on one another. As their partnership grows, a deep respect can develop which strengthens their bond as friends. If you and your partner have a child with special needs, recognize the grief, celebrate the good, and work on your marriage.